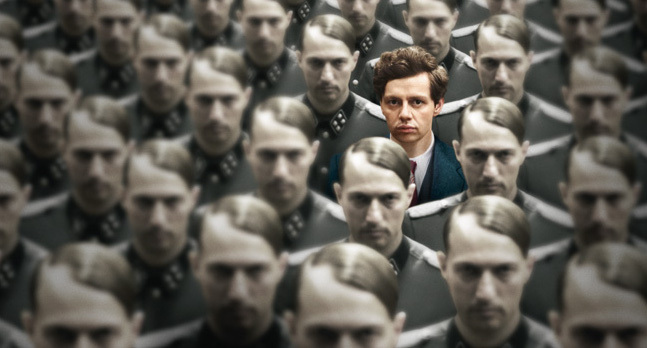 As the national German release of Elser (13 Minutes) draws closer, our German-speaking readers can catch some online television highlights of the drama. It tells the true story of a courageous carpenter and his plot to assassinate Adolf Hitler. We supervised the film’s entire soundtrack in complement to composer David Holmes‘s fine score, securing pivotal narrative songs from German traditionals to tango. The film’s premiere in Munich, attended by director Oliver Hirschbiegel and star Christian Friedel, was today highlighted on two of Germany’s major news channels in the run-up to the nationwide release. Check out ZDF’s report or the segment on today’s Tagesthemen (from 24:05). Elser will open throughout Germany on April 9th, the 70th anniversary of Elser’s execution just weeks before the war’s end.